Cell phones today are more than just about making phone calls, sending text messages or playing the occasional game. In fact, phones have come a long way from being the luxury of the truly privileged to being in the hand or pocket of literally every individual on the planet. While some of us use our phones for recreation, there are a lot of people who use their smartphones to get their work done, or help them streamline their workflow so that they can be more productive. 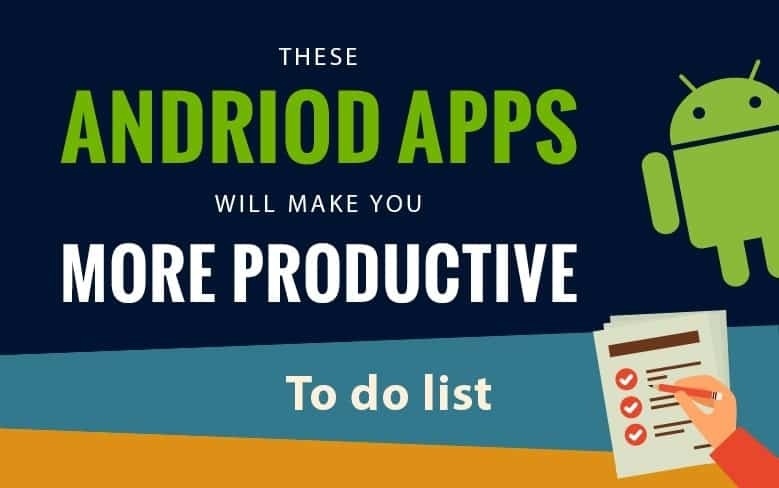 There are android apps that will synchronize all your data for you, help you manage your time better or even help you manage an entire project, right from deadline to delivery. Try the best of these out, today. This article was published in Technology and tagged Android, Apps, Infographics.